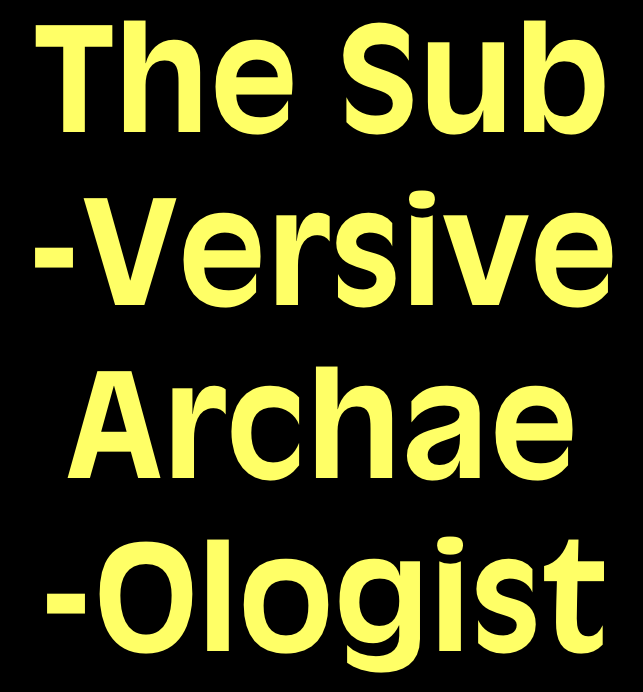 The Subversive Archaeologist: Spoilers! Next Up: Hardy et al. 's "Neanderthal medics? Evidence for food, cooking, and medicinal plants entrapped in dental calculus"
Firstly, that we WERE able to extract biomolecules from dental calculus – tartar – from ~50,000 year old material is indeed a major achievement worthy of much scrutiny, but with the samples pre-cleaned for surface contamination we can be sure that the source of the organic compounds was indeed INSIDE the mineralised dental deposit (it is the mineral component which allows survival – cf. pottery where the ceramic matrix protects the organic compounds which have been absorbed into the internal wall of the pot. This work has been used for decades now to determine food consumption in antiquity (e.g. fish, dairying, etc. ), and the principle here is the same). So that established, it is reasonable to conclude that the compounds identified reflect ingestion or inhalation by that individual. Given this, it was a question of determining what was ‘the most likely’ explanation. There will always be some tension between the scientists (e.g. 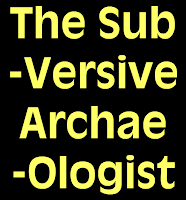 me) and the archaeologists in terms of the degree of interpretation possible. Speaking for myself, findings should also be open to review – that’s how good science works, rather than the ‘My professor’s bigger than your professor’ mentality, prevalent in archaeology, and indeed much of the often so-called ‘hard sciences’ too, for that matter – but in true scientist’s language: “ The findings are consistent with...”, and are a reasonable interpretation given the context. Actually, that Neanderthals used fire is not a revelation to many, nor is cooking and the exploitation of plants, and nor, for that matter, is the use of medicinal plants, if that is indeed what the chemical evidence represents (note the ‘?’ in the title of the paper, although it’s the most plausible explanation at present). Non-primates self-medicate, so that Neanderthals may well have done so too is far from fanciful. Non-primate animals have worked it out for themselves, WITHOUT the help of modern humans, so in many ways the findings could be described as ‘expected’. Certainly, Richard Wrangham of Harvard University, to name but one, is not surprised by these findings, even if there is [justifiable] debate on the precise significance. 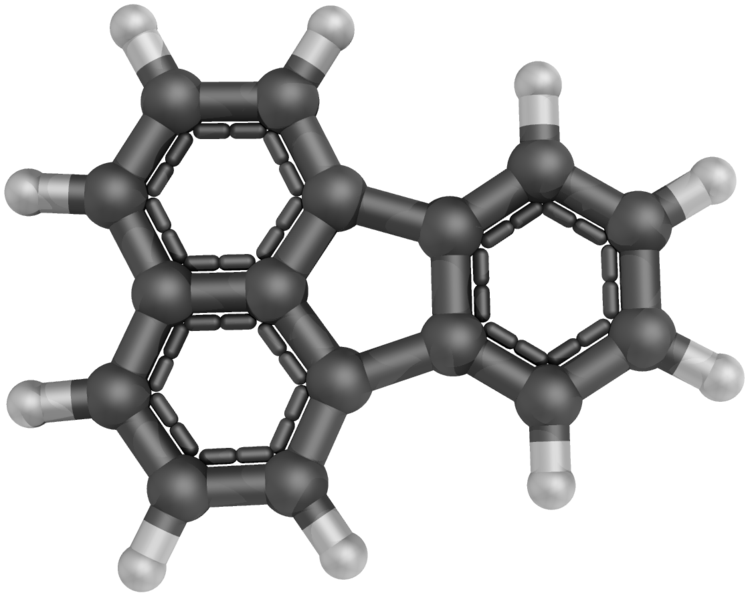 But to the supposed flaws: it is true that pyrene and fluoranthene are general markers indicative of combustion. 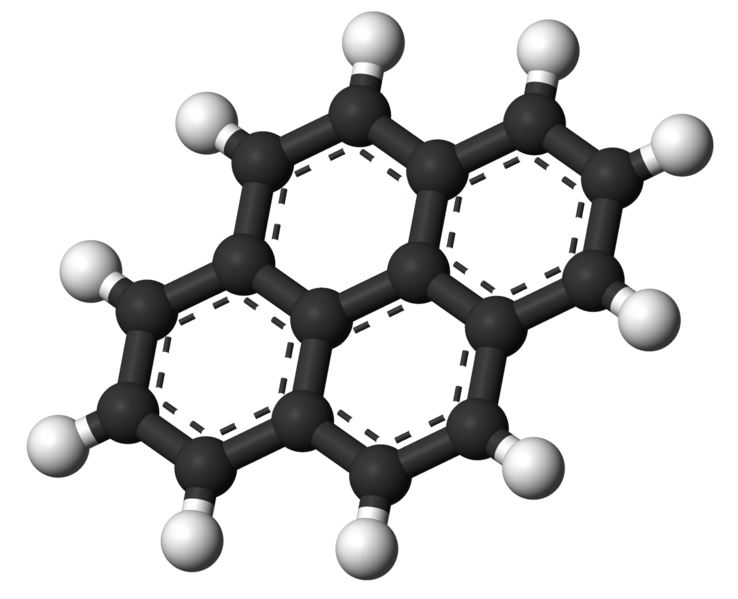 I have studied these and other ‘polynuclear aromatic hydrocarbons’ (PAHs) (also known as ‘polycyclic aromatics’ (PCAs)) for over 25 years, initially with the oil company Shell, where they were connected with bitumen analysis – my main focus for four years there. It should be noted that many, many processes do indeed produce these (and other) combustion markers (PAHs): the toaster produces them when you toast your bread, they are present in fried and grilled food (McDonald’s workers are exposed to levels which have been suggested to pose a significantly increased risk of cancer), and more - some PAHs have long been known as carcinogens (e.g. 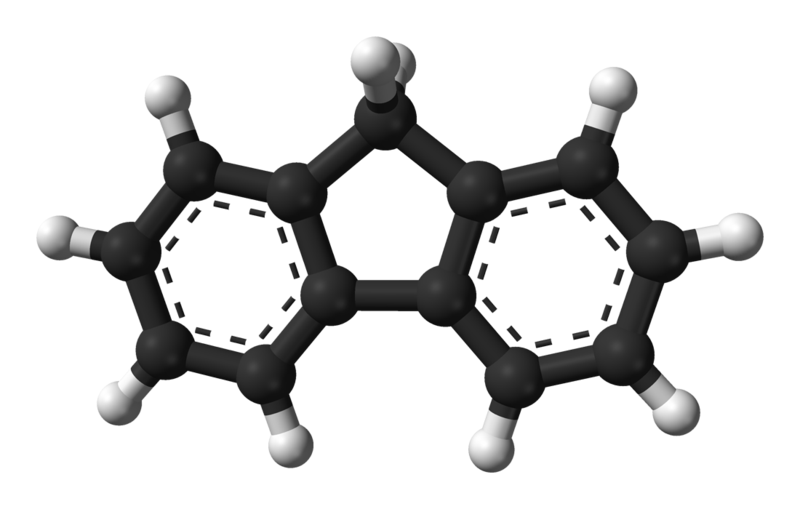 benzo-[_]-pyrene), but played down in the many, many cases in which they are produced – no one wants to lose their cars, think that home cooking exposes them to carcinogens (though it does; that doesn’t means we should worry about it: ‘how much’, as well as ‘what’, is key), etc. We consume PAHs when we eat the cooked food we have prepared; we inhale them when we cook. Yes, we are exposed to (carcinogenic) PAHs when we walk down the street with cars driving by next to us (and by driving the car! 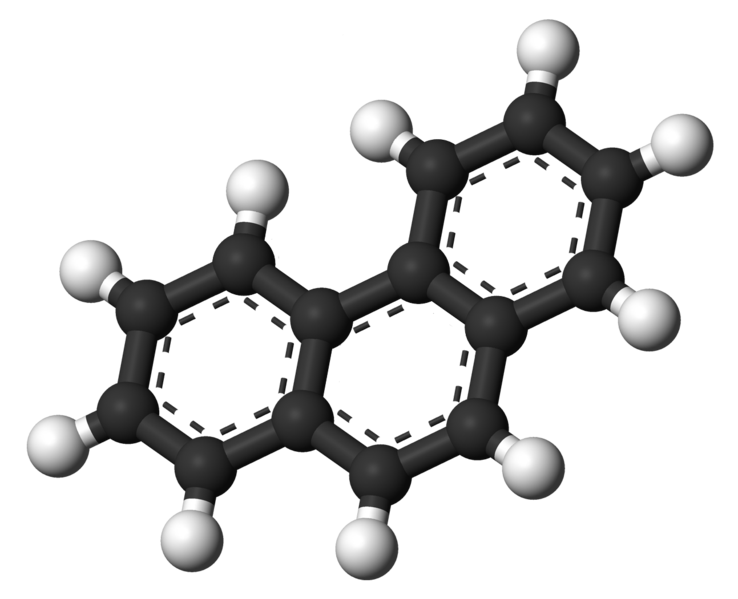 ), and there are natural sources such as natural petroleum (where PAHs are present in small amounts). Many of us enjoy log fires or wood-based fires (e.g. 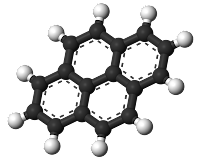 Bonfire Night, in the UK) – these expose us to PAHs such as pyrene and fluoranthene (the main ones in these processes) and we have certainly inhaled some. So I’m afraid, that from direct analytical experience (and not only my own), rather than these compounds needing highly reducing conditions to be produced, these combustion markers are common today (less so 45,000-50,000 years ago) and incomplete combustion (e.g. cooking) is the norm, so not just restricted to charcoal and smoking; though smoking (use of fire) is a possibility for what we see in the dental calculus of these Neanderthals. So aside from apparently not reading the full article properly, this indeed serves to reinforce the above, i.e. 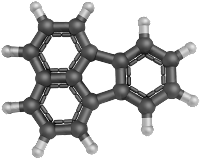 that PAHs are combustion markers in a wide variety of contexts, and can also derive from natural petroleum sources such as oil and asphalt. The question should then be: ‘which of all of the above would be likely sources of exposure for Neanderthals living in northern Spain some 45,000-50,000 years ago?’. Car exhausts, for one, seems somewhat unlikely. In this context (non-archaeological scientists are often guilty of failing to understand the importance of the archaeological context; archaeologists should, and often do, know better), a fire – whether wood or coal – does not come close to producing complete combustion of any food cooked in that fire, so – speaking as a scientist who has studied these compounds over the 25 previous years – PAHs would be EXPECTED in this scenario (and so the charcoal and smoked salmon are red herrings in the way they are used in the Subversive Archaeologist piece). The two references were chosen by us because they were related to the sort of activities the Neanderthals were likely to have been carrying out (despite some conservatism in hominid research) – cooking food using fire. It would have been impractical (and unnecessary given the colossal amount of research in this area) to list other references in the main article, despite being aware of them, though we DO reference a selection in the ESM of the article if one reads it. As said several times already, there are indeed many possible sources, but here it was a question of understanding the context of the material and interpreting what was most likely. That is very often the case with archaeology and anthropology; if we want absolute certainty [though I am guilty of this ‘sin’ myself!] we should stay silent!! It is that the PAHs pyrene and fluoranthene are the MAIN combustion markers identified, AND their relative abundances to each other, AND that the next two most abundant PAH’s identified were fluorene and phenanthrene, AND that other more minor PAHs were identified (typically lower than these four in combustion processes) which is, collectively, important. If one had looked at the supplementary information online one would also have seen that although minor, others PAH ‘combustion markers’ were also identified*. My experience has included 8 years in the Environmental, Occupational Hygiene and Health field, testing the environment’s exposure to harmful and toxic chemicals, and the exposure of employees working with these substances. Given the long-known carcinogenic properties of PAHs, I am aware of the relative quantities of these compounds (some far more carcinogenic than others) in a variety of environments. The ‘Betula’ (and also note: chemical markers [triterpenoids] characteristic of birch-bark tar would also survive, allowing identification of this specific source if present) and ‘coal’ references in the Sub. Arch. piece are entirely irrelevant. And with the bitumen (or oil shale) source it is likely that they used it as a glue/fixative ‘as is’, and so they would not have needed to ‘dry distil’, or similar. That the bitumen source was only found in one sample, yet combustion markers consistent with roasting or smoking using fire were present in all the individuals subject to chemical analysis (a small sample set, admittedly; sample access means one often has to be pragmatic), is not consistent with bitumen/oil shale being the source. Moreover, it is the combination of chemical markers, not the PAHs exclusively, which allow the inference that cooked food is the most likely explanation for the presence of these chemical markers AS A WHOLE. Archaeology and anthropology tend, as do humans as a whole, to look for non-existent, infallible, magic bullets, such as radiocarbon dates, age at death, and ancient DNA. In the same way, it is NOT the PAHs in isolation that are key, but rather the biomolecular evidence as a WHOLE. Would I welcome more samples to analyse in order to provide a fuller picture at El Sidron? A: Undoubtedly. Is this perhaps primarily a show of potential for future studies of ancient diets (consumption)? A: Without question. But the conclusions made are reasonable and justifiable, based on the scientific evidence available to date. All three: PAHs (general combustion markers), the alkyl phenols (wood smoke [or petroleum oil/coal]*), and methyl esters (heated [in usually acid conditions] animal fat/plant oil**) suggest thermal processes, which are COLLECTIVELY indicative of cooked food, in this case plant-based, from the molecular evidence, and accounting for bacterial input and degradation over time (diagenesis). In this full context explained above, I would suggest that the inferences made are reasonable, although, like all science (NOTE: recently, scientists announced that it was “probably a Higgs Boson” they had identified at CERN, so let’s not get too clever), it should always be open to review. Apologies to all for the length, but I wanted all to have the full context. IF you’ve managed to read it all(! ), thanks for listening. If by my ineffective prose this response raises hackles, please accept my apologies. Yes, I'm happy for you to transfer my comments to the comments section, though apologies if I'm slow in responding myself; it will only be due to workload. I agree that it might have been helpful if the electornic supplemetary info was more 'visible' - always a problem with science journals. I also suspect that media attention has forced - as it necessarily does - a more positive tone than would otherwise be the case. As I said, there is always some tension between the scientist and those interpreting the findings. Future work will hopefully address some of these problems. I've answered your "Pyrene, Good Night, Pyrene." - plus a recap of all, following it.